The Door to Bon was Virtual Monk’s first venture into Learning Management Systems (LMS). The course system on doortobon.org was designed to give a Bon monk a platform to teach meditation and related activities to students all over the world. The site was a huge success, with the first course boasting over 90 participants and over $20,000 in revenue. 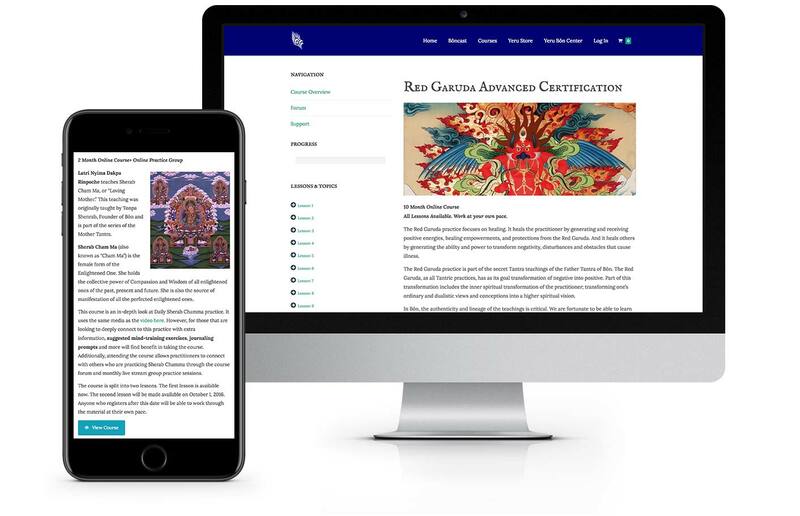 The site also features the first Bon podcast, set up by Virtual Monk, an e-commerce store for selling digital downloads and physical products, and free forums for people to discuss this ancient, beautiful, Tibetan religious tradition. Additionally, Virtual Monk designed the logo and applied quality SEO throughout the site.